Yesterday we revealed the Barkus teaching guide, today we get to share another new guide I wrote for another must-get early chapter book from Chronicle Books for all of my early elementary friends! About the Book: Meet Charlie and Mouse! Join these irresistible and irrepressible sibs in their quest to talk to some lumps, take the neighborhood to a party, sell some rocks, and invent the bedtime banana. With imagination and humor, beloved author and illustrator team Laurel Snyder and Emily Hughes paint a lively picture of brotherhood in four irresistible stories that readers will relish. 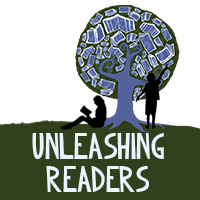 About the Author: Laurel Snyder is the author of many books for children. She lives and writes in a small yellow house in Atlanta, Georgia, which she shares with her husband and two sons. She would like to state for the record that while none of these stories are exactly true, none of them are exactly untrue either. About the Illustrator: Emily Hughes is an illustrator (and sometimes writer) who lives in windy Brighton, England, while thinking fondly of her hometown in Hilo, Hawaii. When making books she uses pencils, her tablet, and a very, very generous stack of paper. About the Guide: This guide consists of discussion opportunities and classroom extension activities designed for use by Pre-K through first grade students in classroom, small group, or individual assignments. 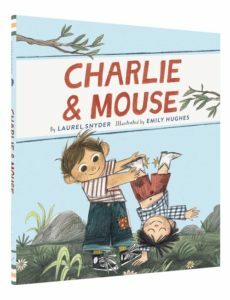 Charlie & Mouse allows children to exercise a variety of reading comprehension strategies, from gaining information about a story from the illustrations and text to retelling, describing, building vocabulary, and comparing and contrasting. Additionally, Charlie & Mouse helps young readers develop foundational reading skills such as learning to recognize sight words and text features. I’m looking forward to reading this. It’s sure to be a hit with my students.